We not only do custom logos, web banners, brochures, electronic forms and business card design but we can do web design for your business or organization. This is perfect for a first time website owner that wants to be able to manage their own site very simply and to learn how themselves. So if you have no clue where to start. We can help! We work for cheap and do it right! For a small business or organization or just getting started, we can get you set up and published using a drag and drop builder for you within a couple days; sometimes quicker. It depends on what you're wanting. Once built, even the inexperienced will be able to tweak it. Most companies charge a fortune ($800-$3000) to build a small website and then later when you need to edit it, you are lost. It either cost you another fortune to hire that company again or it becomes outdated. We use the easiest software out there to create, edit and update your website. A website needs to stay current and be updated often to be successful. You won't find a lower price and one-on-one personable support for what you are looking for. FYI- using the free/basic version you don't get to edit/create a footer (bottom of website). But I can most of the time work around that. Prices start at 150.00 (1 page includes set-up) for our services. Prices are determined on content and hours worked after setup. 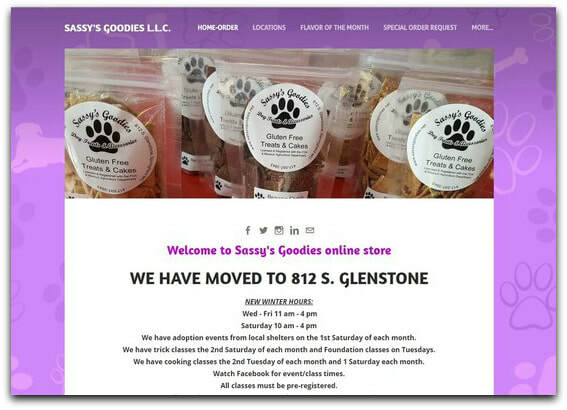 NOTE: We do not edit or update existing websites (not purchased from Paw Prints Web Design) unless it is specifically using a WEEBLY drag and drop builder. If you are looking to move your old site using a newly designed responsive website and transfer your domain name, we can help you with that as well. If you are unsure about all of this, feel free to contact us and we will help you figure it out. Your best option is picking the three year. You save a lot of money that way. If you purchase a one-year (monthly price is slightly more), then the next year it goes up to full price. At introductory prices, you get it for the $23.88 per year for the three year. So you pay $71.64 for 3 years. ​If you want 24/7 tech support (via live chat or phone), we can get you set up through our web host. Six pages are free using the drag and drop builder. If you want more than 6 pages, add approx $105 to the hosting price per year. ​If you want to pay less per year, we can do it through Weebly themselves although tech support is limited. Click here for more.